My wife B is just the sweetest, nicest, most innocent person you could imagine. She's friendly, with a sunny disposition, and always thinks the best of everyone. But then as October rolls around and the weather turns cooler, and the nights grow longer, she goes and arranges this display in front of our house. Just goes to show you. There's a dark side to everyone. But she is not the only one in town who finds herself seduced by the Halloween spirit. Down the street we have a ghost hanging from the front porch. And a little farther along the spiders have been at work. A lone watch-skeleton stands guard at this house . . . While it seems some rather strange entities are having a party in this neighborhood. Perhaps it's a wake for this poor person . . . But not all is scary this October. B put up a pretty wreath on the fence gate in our side yard. And look at this display. No ghouls or goblins at this house. These people live on the sunny side of the street. Yesterday, B and I attended a public debate between our two candidates for the U. S. House of Representatives. The incumbent, a Republican, is Brian Fitzpatrick, a freshman Congressman running for re-election. His Democratic challenger, Scott Wallace, is from an old political family (his grandfather, Henry A. Wallace, was vice president under FDR from 1941 - 1945), but is himself new to elective politics. There's good news and bad news. I'll tell you the bad news first -- or at least it's a bad sign, in my opinion. As we walked into the auditorium at our local university, the ushers handed out flyers to everyone entering the building. These flyers did not offer biographies of the candidates, or summarize their positions. Instead, they were a warning to the audience: "Respect the candidates by refraining from interfering with the program . . . Refrain from standing up, raising signs or creating other distractions. Refrain from applauding or demonstrating support or nonsupport for a candidate . . . If you do not adhere to these rules you will be asked to leave today's event." Maybe some people will think this message infringes on our free-speech rights. But I take it as a sign of the times . . . that we the public can't be trusted to behave in a responsible manner, and even as adults we have to be admonished to act civilly and respectfully to other people. Even so, during the debate there were several outbursts of applause, for both candidates. The Democrat got a couple of "unauthorized" rounds of applause when he went after Donald Trump. The Republican got one when he made an impassioned call for bipartisanship. Several times the moderators -- a man from the Chamber of Commerce and a woman from the League of Women Voters -- had to ask the audience to quiet down. But there were no signs, there was no shouting from the back of the room, and nobody had to be escorted from the building. I will admit that my opinion of Congress, in general, is pretty low. How can it not be if you read or watch the news on even an occasional basis? So my expectations were low. But both B and I came away with the impression that these candidates were good, responsible people, both showing good intentions and espousing good government. Maybe it's because we live in a swing district, in a swing state, but both candidates went out of their way to decry the ultra-partisanship in Washington. Both pledged to try to work in a bipartisan manner, to reach across the aisle and try to find common solutions for our country's problems. There were some differences. But they weren't extreme. The Republican is an ex-FBI agent who made a point of emphasizing that he's a member of a bipartisan caucus in the House, with 24 Republicans and 24 Democrats, who are trying to agree on solutions and offer legislation to solve our problems. It's called the Problem Solver Caucus. He realizes that 48 representatives, out of 435, is not a majority. But he hopes that the caucus will expand over time and develop into a serious power in the legislative process. And then the Republican went on to call his opponent a liar. So . . . while I like the idea of bipartisanship, I'm not sure I'm buying it entirely. The Democrat charged that the Republican wants to cut funds for Social Security and Medicare. But Fitzpatrick said that was a lie, that he has no plan and no intention of cutting Social Security. Wallace is a wealthy lawyer who apparently inherited a chemical company fortune, and has spent a good part of his career running his family's non-profit foundation. When he rose to criticize the Trump tax bill as a giveaway to the 1 percent, which Fitzpatrick voted for, the Republican countered that his opponent is a part of the 1 percent, and would most likely pay more tax under the new bill than the old tax law. The Republican challenged his opponent to release his tax returns, which apparently the Democrat has refused to do. The Republican was unabashedly pro-growth. He insisted that the corporate tax cut only brings the U. S. corporate rates more in line with other countries, and will allow U . S. companies to compete better on the international stage. That, he claims, will lead to a better economy, more jobs, and more federal revenues. The Democrat claims that if we raised the corporate tax rate by just 1 percent, from the current 21 percent to 22 percent (the new tax law brought the corporate rate down from 35 percent to 21 percent) we would have the money to solve the entire student debt problem that burdens our youth. He also recommended doing away with the ceiling on the payroll tax for Social Security, to shore up Social Security and Medicare, and so the rich will "pay their fair share." Both are in favor of some additional gun regulation. But the Republican skirted the issue of banning assault weapons, while the Democrat proposes installing bio-markers on guns so only the owners could shoot them. (That's the only way, he said, that the Newtown, CT, mass shooting could have been avoided). The Republican is in favor of term limits. The Democrat is not. However, the Democrat pledged that he would self-limit to three terms, if elected. 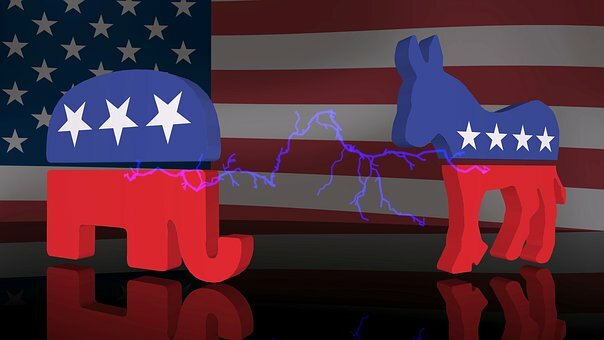 Both say climate change is an important problem and both are in favor of green energy, but the Republican wants to shift to wind and solar over time, while the Democrat wants an Apollo-like program to switch to green energy right away. Both candidates are in favor of providing more financial support for education, infrastructure and the criminal justice system in order to rehabilitate and educate prisoners. Both candidates presented themselves as moderates. Is that I good thing? I think so. But I do remember, back in the 1990s, when members of Congress got along better than they do now, a lot of people criticized them for being too much alike. You could vote for Tweedledum or Tweedledee. It didn't make much difference. But that was then. This is now. I'd be happy with either Tweedledum or Tweedledee, as long as they work together to solve some of our problems. Sure, there was political gobbledegook during the debate. And they did challenge each other, sometimes pointedly. But they both behaved in a civil and responsible manner -- more civil and responsible than the organizers feared that the audience would be. Which, maybe, is a good sign. B and I are in the midst of our fall term at the Center for Learning and Retirement, held at our local university in Pennsylvania. So I'm in a classroom three times a week, twice as a student and once as a teacher. I know many of us are interested in pursuing our education, whether for profit, leisure or cultural enrichment -- whether we go to our local adult-education class, attend an OLLI course at a nearby university, or take off on an educational trip with Road Scholar. In that spirit, I offer you a list of opportunities from our blogging group's course catalog. See if you want to take a class on . . . Fashion. Rebecca Olkowski in Flattering Clothing for Mature Women tries on a cascading vest and tee shirt from Covered Perfectly, a company that caters to women over 50. According to our expert the outfit is comfortable; it covers up middle age bellies; and it looks cute. I myself am no expert. But it looks good to me! Financial Analysis. Meryl Baer of Six Decades and Counting was tempted not by money, but by re-establishing a connection with long-lost relatives. So she took a risk and opened Spam Email in Another Language. What do you think she found? Go ahead (don't worry, you won't get spammed) and open up her link to find out. Health Insurance. Rita Robison reports on the increase in rates of people who don't have health insurance. Texas tops a list of states with the highest rate of uninsured, at 17.3%, and Massachusetts has the lowest at 2.8%. For a full report -- and to see how your state stacks up -- check out Uninsured Rates for Health Insurance on The Survive and Thrive Boomer Guide. Marriage. Stroll down the aisle to Kathy Gottberg's 7 Thoughts on Marriage and Relationships. As a relative newly wed myself, I found her advice both useful and relevant. Networking. Jennifer Koshak of Untold and Begin presents How to Get the Most Out of a Blogging Conference based on a recent conference she attended in Florida. She shares highlights from her experience, and offers tips on how to get the most out of any conference you attend, as well as ideas on how to find the conference that's perfect for you. Sociology. Laura Lee Carter, who has a master's degree in history, offers up some political analysis in Who Voted for Donald Trump: A Cohort Study. I wonder if you'd agree with her. Stress. Carol Cassara reminds us that stress can hit even in retirement, and suggests that we might not know as much about stress as we think. In How to Manage Stress she offers some perspective, plus a few tips on how to refocus your days in order to better manage your life. This is the follow-up to my previous post about the problems of men in America today ... which I got to thinking about after my recent flu shot. But just so you know, my wife and I often go against type. I'm the one who stops and asks for directions, not her. I'm the one who goes to the doctor and gets my checkups, not her. And I'm the one taking a book discussion course at the senior center, with two other men and 18 women. Meanwhile, B is doing a technology course with mostly men and only a few women. So what's my point? I can't speak for B. But as for myself, I'm trying to behave more like a woman, simply because I believe it will help me live longer -- which at this stage of life is of more urgent concern than it was 20 or 30 years ago when ... you know, I was going to live forever. We all know that in general women live longer than men. According to the Centers for Disease Control, the average life expectancy for a male born in the United States today is about 76 years. For a female it's 81. Even before they're born, males are at risk. About 115 males are conceived for every 100 females. But on average only 104 of those males make it into the world, as 11 of them fail to survive until birth. A 2012 study from Australia suggested that mutations in DNA account for at least some of the difference between life expectancies. And it's not just in humans. The life expectancy of a male chimpanzee is 45 years, compared to 59 for the female. The average male mosquito lives a week, the female a month. The study supports what scientists have long known -- that at least some of the difference in longevity between men and women is in the genes. Natural selection favors reproduction over longevity, in essence using the body simply as a vehicle for passing on genes. Males have shorter lifespans because once they pass on their genes, they are disposable. Females are built to stick around to raise their young -- especially in species like humans who take many years to mature. A related theory suggests that males compete with one another for the attention of females. The male who proves his mettle by engaging in risky behaviors like hunting and fighting is more likely to attract the female and therefore pass on his genes -- at least, evolutionarily speaking. But unfortunately for males, the more risky the behavior, the shorter the lifespan. But scientists estimate than only about 30% of the variation in longevity can be attributed to genetics. The rest depends on environmental and societal factors -- your exposures and your behaviors. So what can we men do to increase their life expectancy? Take fewer risks. Men in their late teens and 20s go through a testosterone surge that tends to produce aggressive and risky behaviors. Young men drive too fast, don't wear their seatbelts; they fight and experiment with deadly weapons, and engage in risky sexual behavior (but I don't really want to go there -- that's a topic for another blog post, and one not written be me). Even today, this all leads to a higher death rate among young men, as more men than women die in accidents and homicides. And we all know that risky behavior doesn't always end when a man turns 30. Get a safer job. Traditionally, men took on dangerous jobs, from the military to mining, while women filled safer jobs such as teaching, nursing and child care. In modern times, dangerous jobs have become safer, and the gender gap is closing. Nevertheless, men still work most of the dangerous jobs in America, from fishermen to farmer, roofer to truck driver. Don't smoke or drink or take drugs. Men tend to party more than women, and it takes its toll on their health. Fortunately, this gender gap is shrinking, as over the last two decades men have smoked less and less. Unfortunately, the results are different for drugs. Eat a healthier diet. Men eat more meat, more high-fat snacks, more high-fructose corn syrup -- all leading to higher levels of cholesterol. 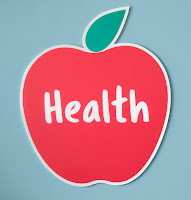 A diet with more fruits and vegetables (which can reduce colon cancer) and less red meat (which reduces the risk of both cancer and heart disease) will help men improve their health and extend their life expectancy. Deal with your stress. Researchers once thought that men suffered more stress because of their demanding jobs. That may no longer be true, as women are working more, earning more and shouldering more financial responsibility for themselves and their families. But one thing is certain. Men internalize their stress, or deal with it in harmful ways, such as drinking or fighting. Men also have higher suicide rates than women. And stress plays an important role in heart disease. So it's crucial for men to find healthful outlets for stress through sports, counseling, meditating or support groups. Go to the doctor. A lot of men (but not me!) won't go to the doctor, no matter how much it hurts, out of a false sense of bravado. While it may not be necessary for young males to undergo an annual physical, older men should see a doctor regularly and make sure to keep up with preventive care, from monitoring cholesterol to screening for prostate and colon cancer. One last note. Women shouldn't take their longer life expectancy for granted. The gender gap has been closing. According to a report from the University of Washington, between 1989 and 2009, life expectancy increased by 4.6 years for men, but only 2.7 years for women. Let's hope that any further narrowing of the gap is not due to women acting more like men, but men behaving more like women.